Don’t hold on because you think there will be no one else. There will always be someone else. 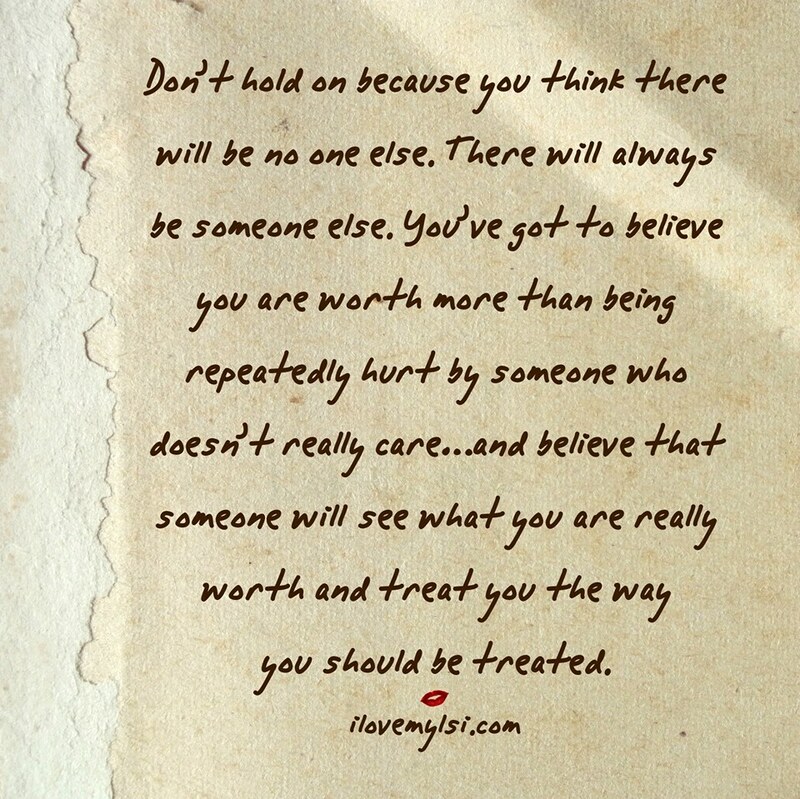 You’ve got to believe you are worth more than being repeatedly hurt by someone who doesn’t really care…and believe that someone will see what you are really worth and treat you the way you should be treated. She was the queen of her own life.